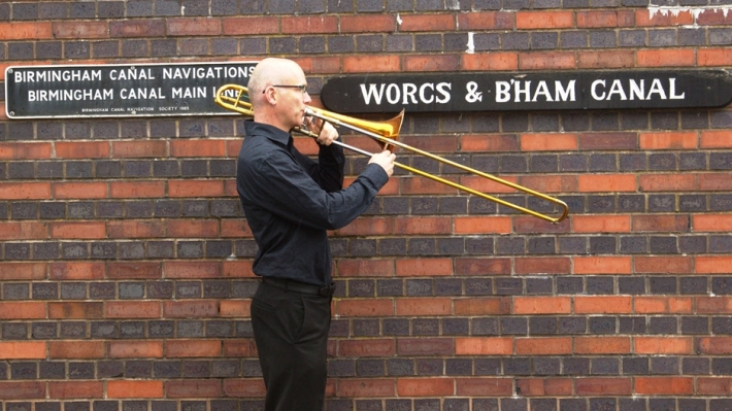 The Birmingham Contemporary Music Group (BCMG) is 30 this year, and it is taking to the canals to celebrate. Performances on 10 September and 23 September will be a free outdoor event, Canal Serenade, with music travelling on narrow boats by UK composer Richard Baker, Cypriot composer Yannis Kyriakides and Czech composer Ondřej Adámek. The concert is a free outdoor exchange of musical ideas, with a single work written by two composers, performed by narrow boats travelling to the point in Birmingham City Centre where the Main Line, the Fazeley and the Worcester Canals merge. After the serenade on 10 September, audiences will be invited to the CBSO Centre for 30th anniversary concert, with music by Ondřej Adámek, recent RPS Music Award winner Rebecca Saunders and Helmut Lachenmann, conducted by Emilio Pomàrico. There is no fixed ticket price, instead the audience will be invited to gift birthday donations to BCMG. The performance on 23 September is part of the Birmingham Weekender. Full details from the BCMG website.